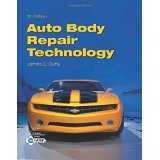 AUTO BODY REPAIR TECHNOLOGY, Sixth Edition, features extensive new and updated material reflecting the latest automotive technology and current industry best practices. 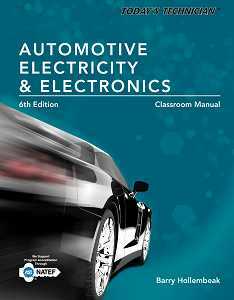 In addition to incorporating the current NATEF Collision Repair and Refinish Program Standards and Task Lists, this market-leading text provides detailed information on working with hybrid and electric vehicles, using environmentally friendly water-based paints, and other cutting-edge methods and materials. Celebrated for its clear, reader-friendly explanations and detailed, accurate information, this proven text also includes abundant full-color photos and illustrations to make even complex concepts easier to understand and apply. 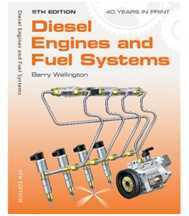 Available supplements include a tech manual with shop assignments and job sheets, as well as interactive online resources ideal for today’s courses and learners. 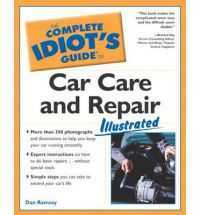 Providing comprehensive coverage of collision repair—from initial evaluation and estimating, to structural and mechanical repairs, to repainting and refinishing—this trusted text helps readers quickly and confidently learn the skills and procedures they need to succeed as professional automotive technicians. 1. Collision Repair: Introduction and Careers. 3. Service Information, Specifications, Measurements. 6. Compressed Air System Technology. 7. Body Shop Materials, and Fastener Technology. 9. Shop Safety and Efficiency. 14. Hood, Bumper, Fender, Lid, and Trim Service. 15. Door, Roof, and Glass Service. Part IV: MAJOR BODY FRAME REPAIRS. Part V: MECHANICAL ELECTRICAL REPAIRS. 21. Chassis Service and Wheel Repair. 22. Electrical/Electronic System Operation and Service. 23. Restraint System Operation and Service. 25. Vehicle Surface Preparation and Masking. 27. Color Matching and Custom Painting. 28. Paint Problems and Final Detailing. Part VII: COLLISION REPAIR PROFESSIONALISM. 29. 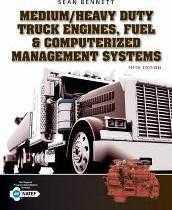 Job Success and ASE Certification. 30. Hybrid Technology, Service Safety.